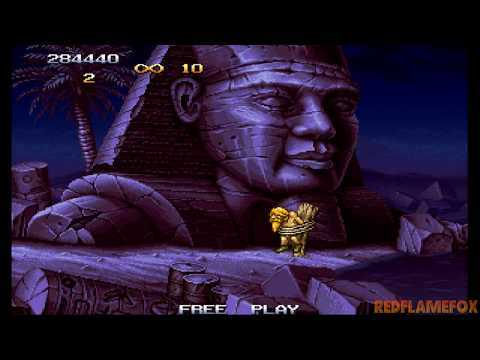 Metal Slug is a scrolling shooter known for being an arcade classic that we all played at some point. 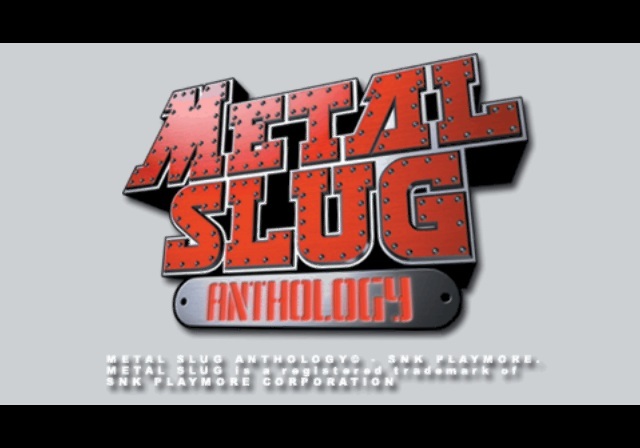 This compilation reunites all of the Metal Slug titles, with the exception of the spinoffs. The graphics are the same as the arcade, they've been left untouched. Cartoonish and comical sprites, with lots of explosions, bullets and enemies in screen. The level design is great. Every level is very different from the other one. You go through mountains, cities, sewers, military bases, rivers, spaceships. The enemy design is also good ranging from soldiers and tanks to zombies, mummies and aliens. 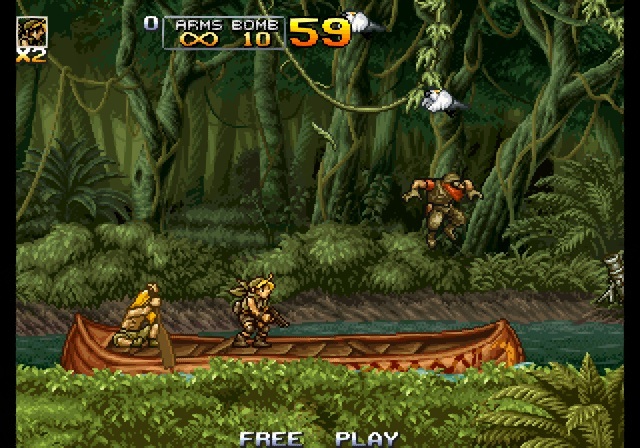 Metal Slug Antholgy runs constantly on 60 fps, a higher framerate than the other versions, so everything looks more smooth. I've also noticed a few new animations. The concept is simple, kill as many enemies as you can and survive through the different levels. You pick a character and then you get put into the action. Through each mission you find captured prisoners who reward you with weapons or items if you rescue them. You can also find a Metal Slug, a powerful vehicle that can easily destroy many enemies. 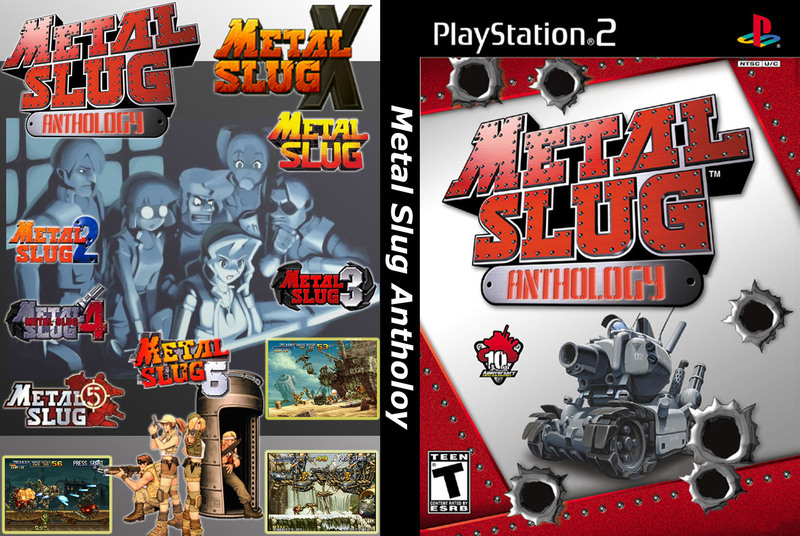 Each game has different Metal Slugs but the most usual one is the tank. At the end of each level there is a boss. Sometimes it has a weak point and others you just attack it until it goes down. There's two bad things about Anthology. The first one is the input lag (controller delay). I'm not talking about an unbearable lag, but noticeable. You know when you play a game online and your player has a little delay? After a while, you forget about it, but it can become very annoying on parts where you need to do complicated tasks, ie. jumping around while dodging enemies and throwing grenades all at the same time. Bad coding I guess, since I've never experienced input lag in any other port/version. The second one is the long loading times. They can become anger-inducing. I've never seen such a long loading time on another Metal Slug title. Again, bad coding by Terminal Reality. Metal Slug Anthology is very fun over-the-top arcade action. It's even better when you play it with a friend in co-op. 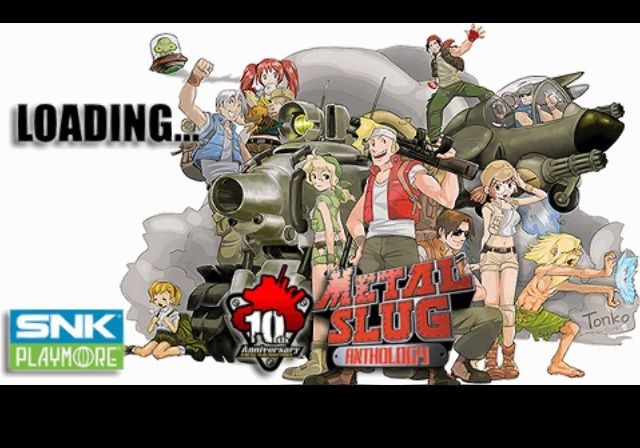 Any Metal Slug fan will like this compilation. There's also some new touches, like a couple of new animations and the soundtrack was remastered. It's a great way to have all the Metal Slug's in a single DVD and just sit back and enjoy them whenever you want. Sadly, they screwed up some important things. It could've been perfect, but it's not. Now you can add videos, screenshots, or other images (cover scans, disc scans, etc.) for Metal Slug Anthology (USA) to Emuparadise. Do it now!